Johnny "Lam" Jones won an Olympic gold medal in the 4x100 relay at the 1976 Olympics in Montreal. 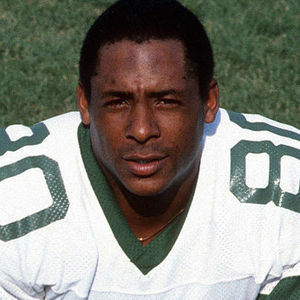 A star wide receiver at the University of Texas, he went on to play in the NFL for the New York Jets. For full obituary and coverage from Legacy.com, click here.